RMT is a powerful essential oil treatment utilizing antiviral, antibacterial, and anti-inflammatory actions to bring the body into structural and electrical alignment. 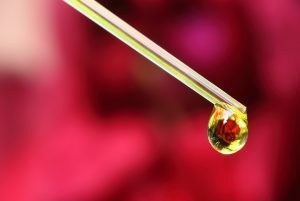 Essential Oils are applied like ‘raindrops’ to the spine, neck and feet, gently massaged into reflex points and warm towels are applied to enhance the treatment. An RMT session last about an hour, supports body systems on a physical and emotionally level and can have many benefits. It is a detoxifying process to rid the system of toxins or bacteria that are held deep within the body. RMT provides an immune system boost, helps realign the spine, reduces stress, aids in injury recovery and relieves back pain and tension. This therapy is highly relaxing and peaceful with support for emotional wellbeing. Energetic healing takes a holistic approach that looks beyond the physical to manipulating the subtle energy systems (meridians, auric bodies, chakras, nadis) to regain balance and facilitate our body’s innate healing mechanisms. It facilitates the healing process by clearing blocks in the energy fields, repairing and rebalancing the energy so that the body can move to its optimal level of balance from where it is able to access its inherent ability to heal itself.Energetic healing can also help identify “issues” before they manifest as pain or similar distortions in the physical body. It opens our consciousness to the areas we need to work through and heal in order to bring our lives into balance and maintain health, harmony and vitality. Some of the more well know therapies that fall under the heading “energetic healing” include Reiki and Reflexology.However, energetic healing also encompasses lesser known natural therapies such as: Aura and Chakra balancing; Flower and Vibrational Essences, Crystal Healing, Color Therapy, Spiritual Healing, and other forms of bodywork. Energetic healing practitioners are usually trained in a number of modalities and will combine these in their own unique way. Many combine intuitive skills with their practical and theoretical skills.